Worth was bemoaning the fact that he will probably never see one of the new plastic fivers because Gates does not allow him to have folding money. 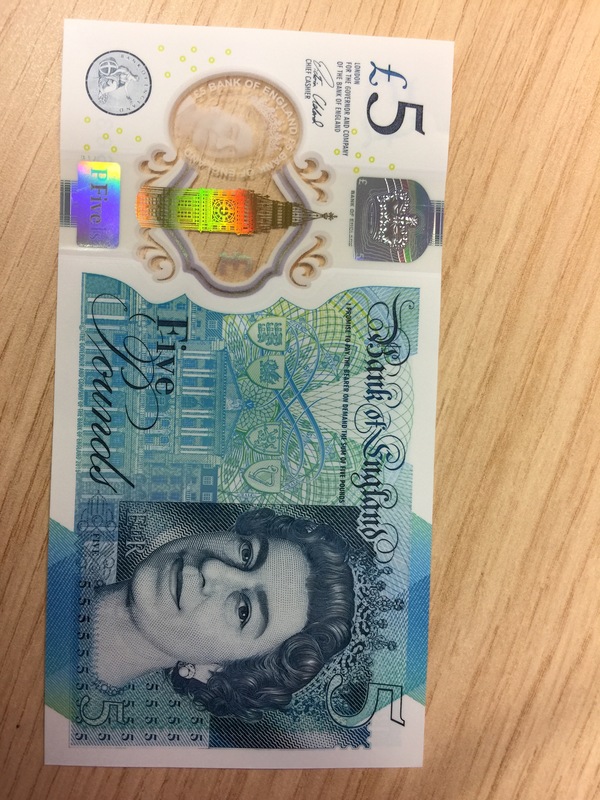 So on Friday when his mate Di collected her daughter from work where Worth works, she sent up a new fiver for him. Worth was touched and very pleased. He liked the new fiver a lot and decided he might well frame this one!